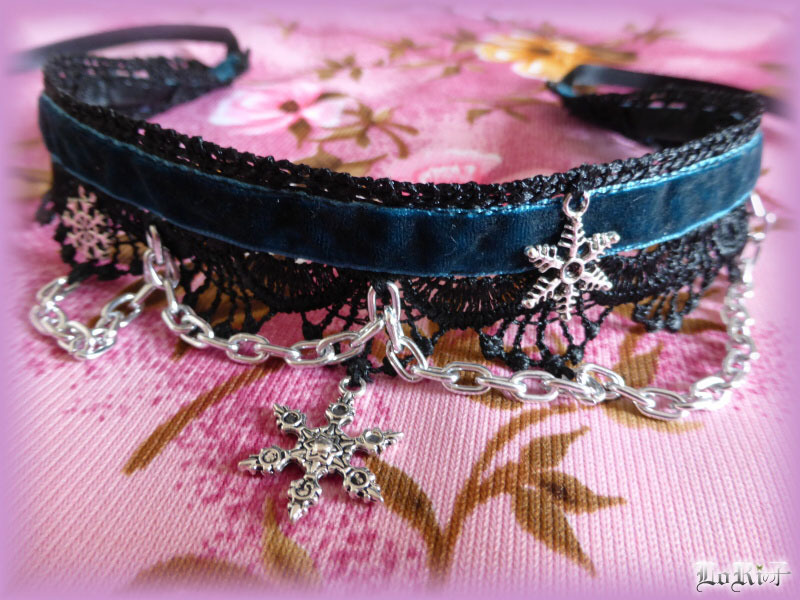 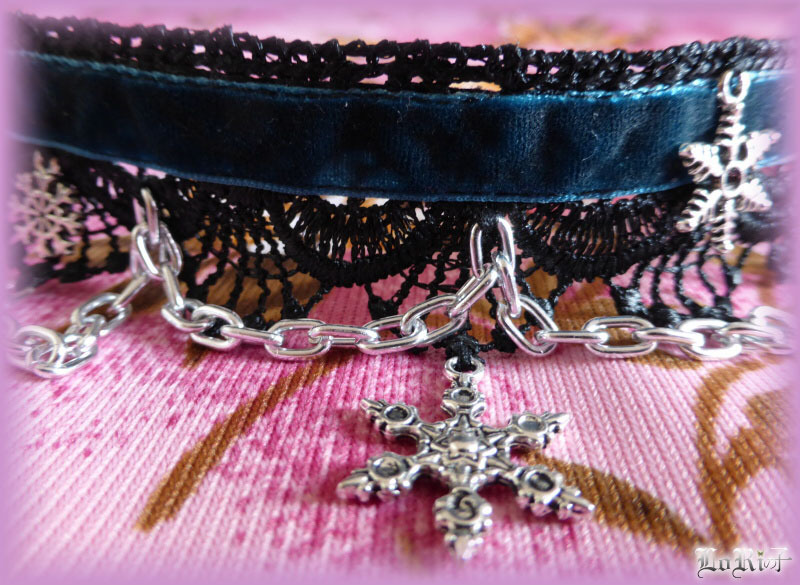 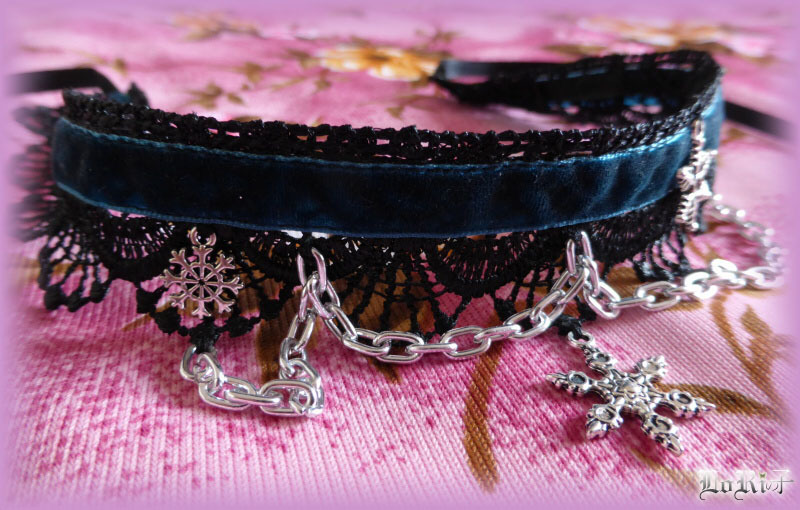 Choker in black an jade combination – very suitable for the winter season. 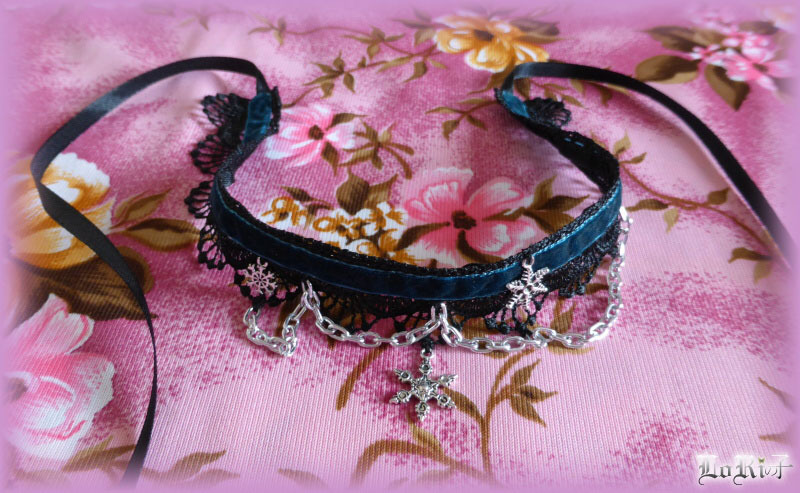 The wide lace from rayon and twined satin ribbon set to lacing are completed with pretty jade green velvet ribbon. 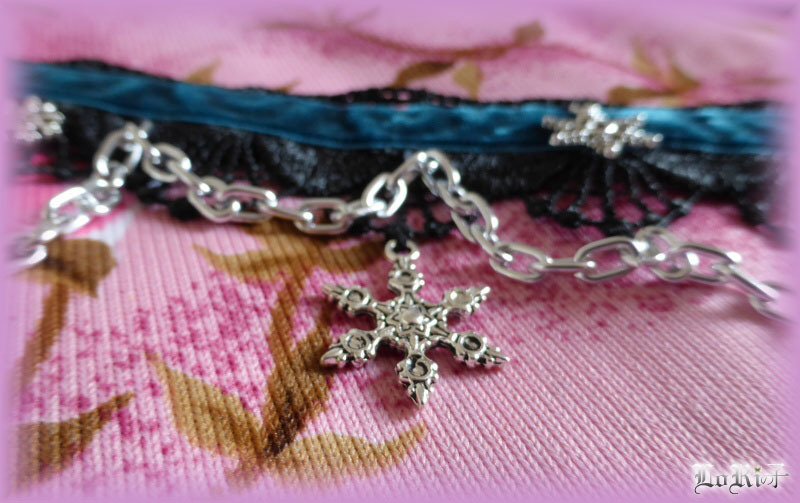 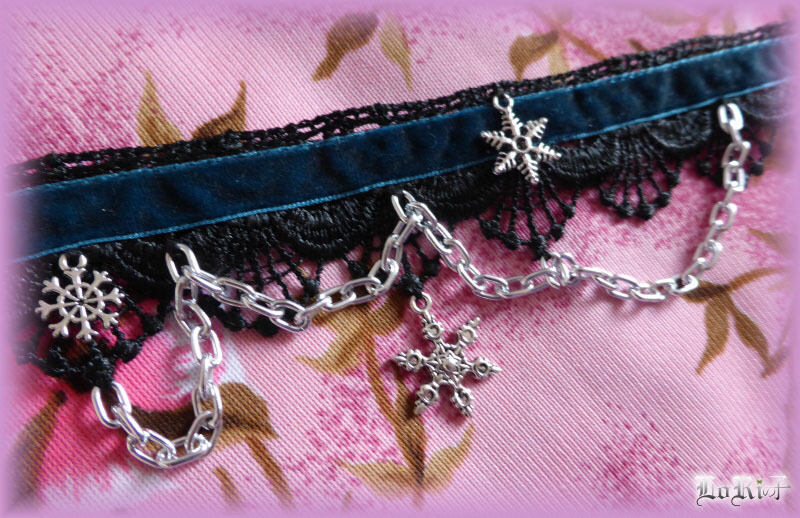 The decorations are made from tripple pendants in shape of snowflakes and metal chain – all tuned in silver colors.